1. In the corridors, there is no second opinion about Jaishankar’s talent as a diplomat. Soon after BoI posted in social media sites about his appointment as India’s new foreign secretary, former foreign secretary Nirupama Rao commented: ”Outstanding choice”, prompting many others to engage in a debate. By the way, Jaishankar was the topper of his batch. 2. Mind it. Jaishankar, and not Sujatha Singh, was the first choice of Manmohan Singh’s PMO too when the question of foreign secretary’s appointment cropped up in 2013. The then NSA Shivshankar Menon and the then principal secretary to PM Pulok Chatterji favoured Jaishankar, but the weak PMO then decided to avert a possible row when Sujatha Singh wrote a letter to the PM stating that Jaishankar’s elevation (he is a batch junior to her) would force her quit the service. 3. Narendra Modi too understood Jaishankar’s talent from day one. According to highly-placed sources, Jaishankar was asked to join the PMO as an adviser though the move would have created a more visible rift between the PMO and external affairs ministry (MEA). But the idea was dropped when Jaishankar reportedly showed reluctance to move to the South Block as an adviser, a post considered more for retired officers. Now, he will be the foreign secretary of the PMO, not MEA. 4. Jaishankar’s role in turning around the Indo-US relations post-Devyani Khobragade episode also played a role in his elevation. India-US ties reached the nadir when 1999 batch IFS Khobragade was strip-searched and humiliated in New York in a case of alleged visa fraud and underpaying of a domestic help. Without naming Khobragade, Jaishankar acknowledged publicly in a talk at the Carnegie Endowment last year that it was a “truly distressing” time, and what Indo-US ties needed were “maintenance” and “from time to time, an upgrade”. 5. Mandarin-speaking Jaishankar was a successful envoy to China as well. A successor of some of the most talented diplomats like Shivshankar Menon and Nirupama Rao in Beijing, Jaishankar too at times outmanoeuvred the Chinese diplomacy. But he publicly acknowledged that that a lot more needed to be done in case of India-China ties. He said, the relations probably moved about only 20 points up in the last one decade. By the way, he could impress Modi when the latter as the then Gujarat chief minister visited China to woo Chinese investors. 6. 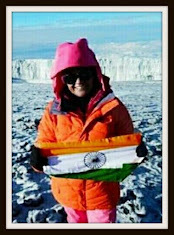 Jaishankar’s elevation was also aided by PM Modi’s reported assessment that Sujatha Singh was a mediocre. Her downward graph surfaced after Modi’s visit to Japan in September last year when she accompanied him. By the time, the Pravasi Bharatiya Divas was organized early this month, it was known in the inner circle of the corridors that her tenure might be cut short. Only a fortnight ago, the order about the unceremonious exit of another high-profile bureaucrat, DRDO chief Avinash Chander, was issued. 7. Jaishankar’s understanding of nuclear diplomacy also helped him to move to the top. As the then joint secretary in the MEA, Jaishankar played a key role in the run-up to the Indo-US nuclear deal, 2008. A product of St Stephen’s college, his PhD specialization was nuclear diplomacy, a subject dear to his father's heart. 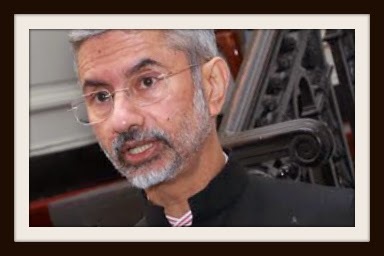 Jaishankar is the son of former IAS and doyen of India’s strategic affairs K Subrahmanyam, known in his circle as KS or Subbu. 8. Finally, a technical reason promoted Jaishankar to get his new appointment letter this week itself. He turned 60 years on January 9, which means according to rules, he would retire on January 31, the last day of the month. So, he must take charge as the foreign secretary before he retires. The January 28 ACC order said, Jaishankar was appointed as new foreign secretary for two years “under provisions of FR 56(d)”. Para 5 has stated that S . Jaishankar is a Mandarin Speaker. The History of Services records that his CFL was Russian and OFL was Hungarian(Magyar). The fact may be cross checked again. The decision is of the Government. I do not question the decision. But some facts are worth noting here. 1. Sujatha Singh was definitely not mediocre. She is an outstanding officer. IFS officers will vouch for that. 2. The relations between Sushma Swaraj & Sujatha Singh were not very good, with the differences cropping up on the postings of IFS officers, particularly Ambassadors. 3. PMO, particularly PM Modi is more comfortable with Jaishankar than Sujatha Singh (your comment that Jaishankar is now FS of PMO but not MEA is correct). 4. The Mallu group is strong in MEA. They back their own officers from Kerala very strongly. Nirupama Rao is a Mallu. Thats why her comment - "outstanding choice". During UPA, Jaishankar was in contention because of this Mallu lobby only. Shiv Shankar Menon is a Mallu. So regionalism at work here. Now you can see all Mallu IFS officers getting important postings in MEA. 5. Jaishankar is as good or as bad as Sujatha Singh. The claim by some that he is an outstanding officer, which made him FS was slightly exaggerated. 6. Sujatha Singh is a very curt and dry officer and principled. She will not prostrate before politicians if asked to bend. Jaishankar is very good at pleasing the politicians. Jaishankar is not a Mallu. He is a Tamilian. His father, KS, was from Trichy, Tamilnadu. I do not know Mallu lobby could be behind this. Government's priorities are his priorities - Now you know what to expect from Jaishankar. Another yes man i guess. Don't understand what is wrong in saying govt. priorities are his priorities. He is not saying BJPs priorities are his priorities. A civil servant is expected to be aligned to the expectations of the government and is a integral part of the same. Modi's attempts to appease the US and his frantic attempts to befriend Barrack Obama seem to be behind all this. He may have put the blame on Sujatha Singh for 'spoiling' relations with the US by backing Devyani Khobragade. But it was not a question of supporting a particular individual. It was a question of upholding a nation's dignity, and there is no doubt that Sujatha Singh's tough stand did much to erase India's image as a weak nation that could be bullied easily into submission. What Modi must not forget was that in USA also there were officers who had treated him like dirt and denied him a visa for years together. But Barrack Obama has done nothing to 'punish' these officers despite all his 'friendship' for Modi. Yes, Jaishankar is Tamilian Brahmin. And Sujatha Singh is Tamilian Mudaliar - her father was IB Chief T V Rajeshwar. Sujatha is married to a Singh.